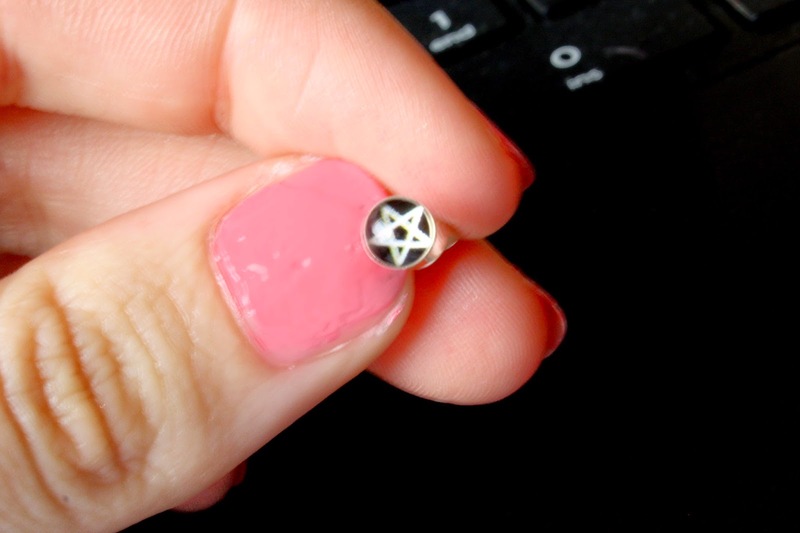 When it comes to piercings, I tend to be that person who says "Oh wow! That looks so cool" yet I do mean on somebody else and I personally don't have (excuse my french) the balls to get it done! Considering I have a full shin tattoo piece, the logic isn't there! 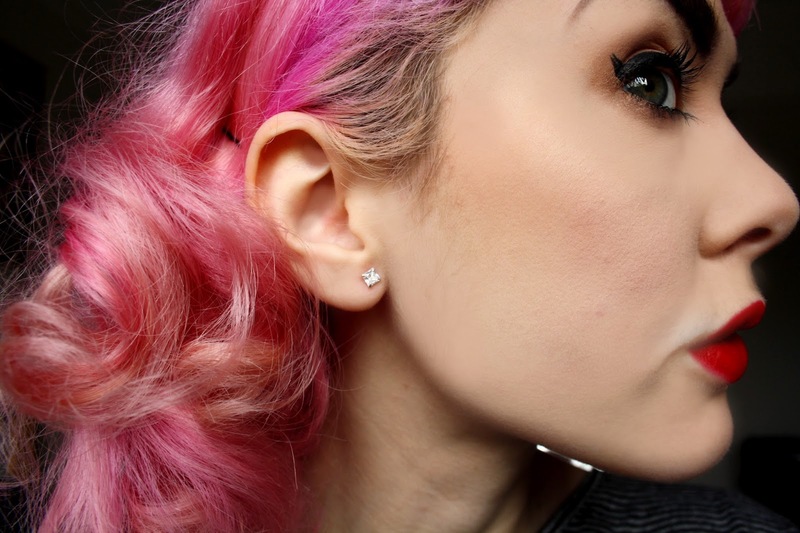 It is a generic fact that everyone connects tattoo's to piercings, but the whole idea of getting my nosed pierced, despite how much I want it done, makes me squirm! The only piercings I do have are both my ears, which I got done at a very early age and thankfully to my body they haven't healed up! 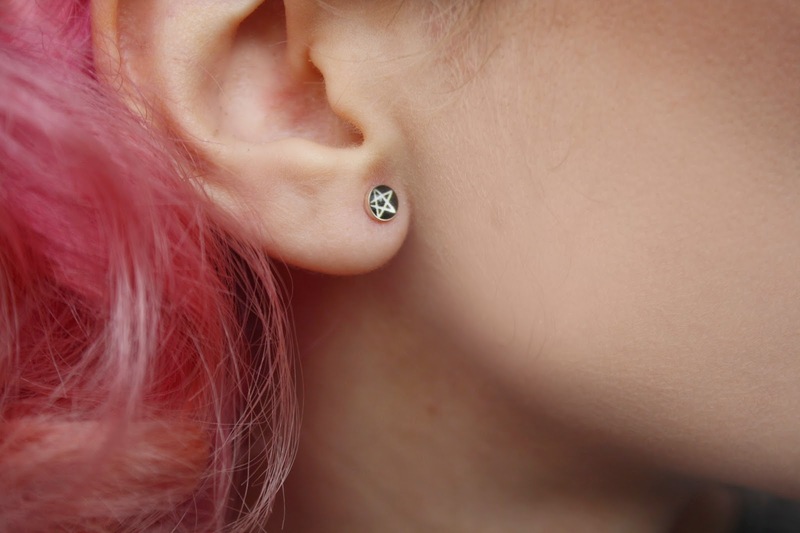 I have been through the process of stretching my ears at one point in my life, but after getting them to perhaps an 8, I quit. 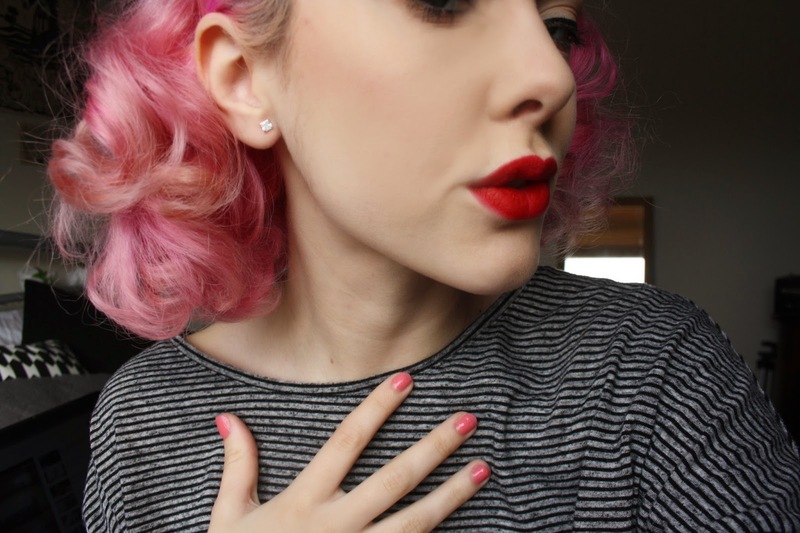 I go through phases of wearing earrings and not, but I am always on the look out for a pair. 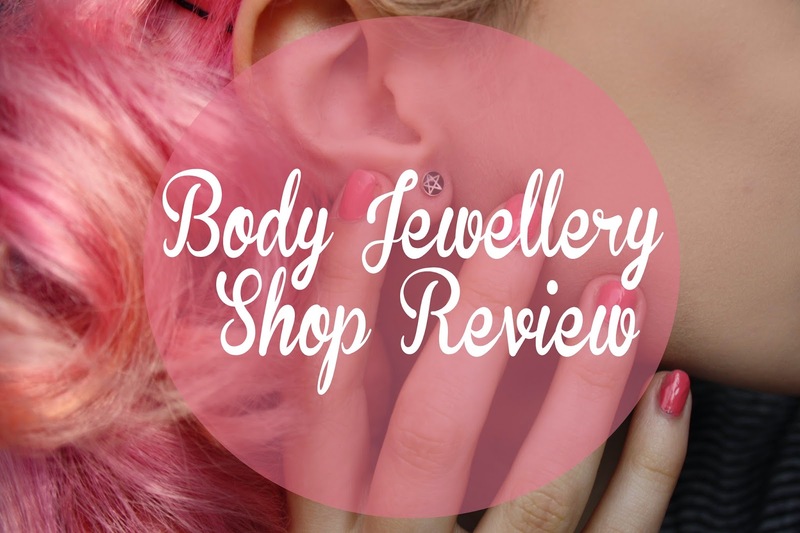 Taking this all into account, I was over the moon when Body Jewellery Shop sent me a couple to review! They are an online store which sells everything you want, from Ear Piercing's to Belly Bars. 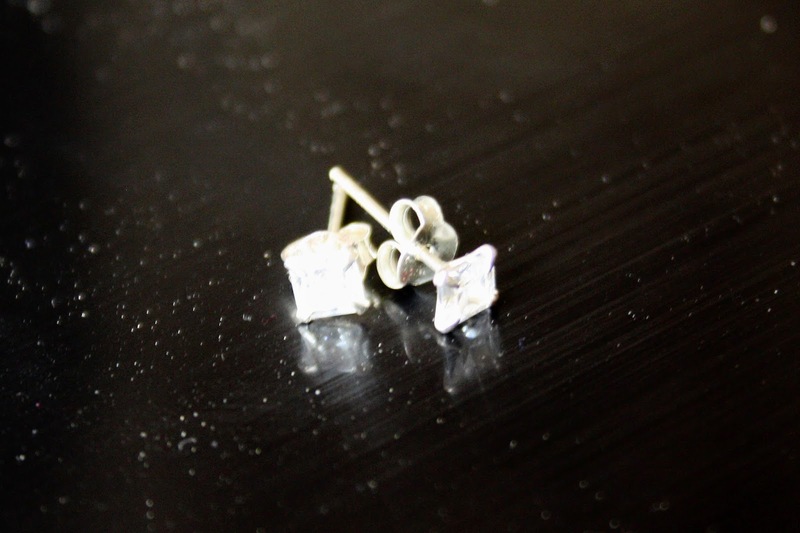 These clear, square jewelled earrings* are incredibly simple and an accessory everyone should have! They are a delicate statement piece that adds a little bling to an outfit, especially considering that warmer weather is right around the corner and adding a little sparkle to an outfit can't hurt anyone! 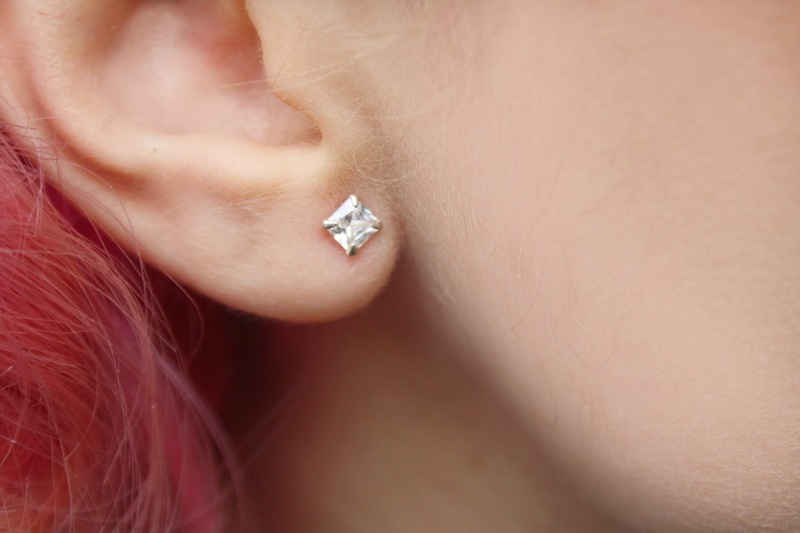 This ear piercing is sterling silver and incredibly traditional, also fitting my lobe just right (no one wants a huge stone hanging from the side of their head). 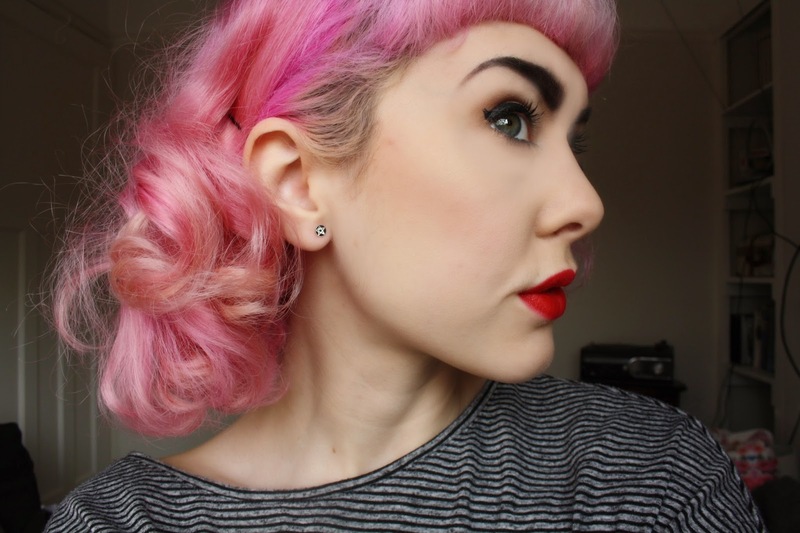 The Pentagram ear piercings* in white, with butterfly clip are my favourite pair sent by Body Jewellery Shop, simply because they are right up my street! 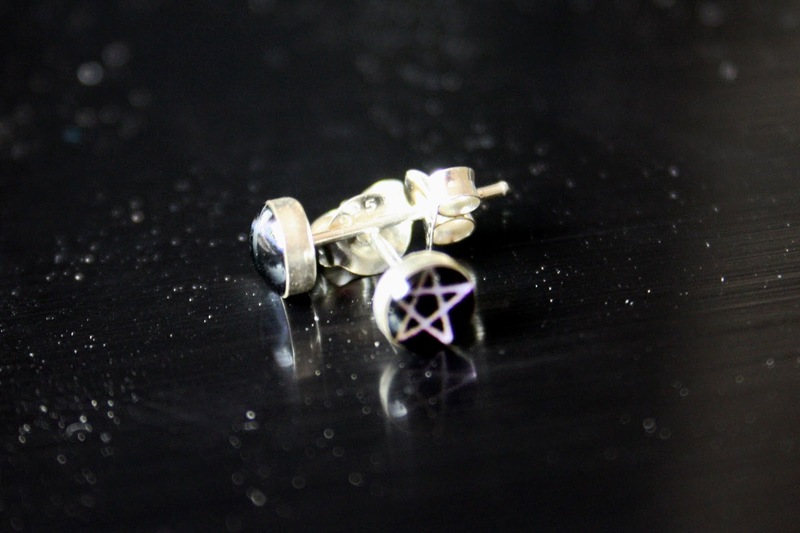 I love the pentagram feature which really defines the earrings, the white line being bold on the black to become a statement piece upon your ear, despite the size of the ear piercing. 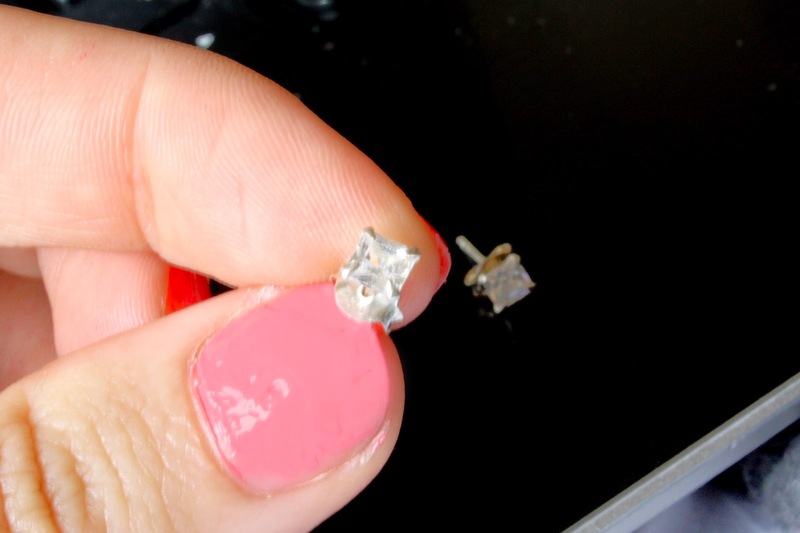 I was incredibly surprised at how small the earring is, but pleasantly as again they fit perfectly on my lobe. Sterling silver again so you are getting such good quality for an amazing price.